I always knew I wanted to do something with books. I was what my family called a professional reader—I read fast, and it was normal for me to visit the library, leave with a stack of books and then return the next day and repeat the process. On Facebook or whenever I run into an old friend from growing up they will always mention how they remember me with a book. I have some projects sitting in folders on my computer that I’ve spent a couple of years on and they’re not even close, but it took about a year to write Reality Gold. I read once that all authors are simply writing the same story over and over but in different ways, and I think that’s true for me. I have a couple of themes I’m really obsessed with and I know at least one of them will show up in every book. I love the idea of perception, of looking at things in different ways. I like wondering ow our own life experiences and view affects our actions, and thus the events that we choose to participate in, and that theme is present in Reality Gold. The other concept I think about constantly is how small decisions can change the trajectory of our lives. I’ll see a car accident, and wonder what if one of the drivers had left their house a few seconds before or after, would the accident have still happened? Or would those few seconds have placed those cars far enough out of reach from each other? I’m a huge fan of things that explore this--like the movie Sliding Doors, and these books are some of my favorites: The Post-Birthday World by Lionel Shriver, Life After Life by Kate Atkinson, Dark Matter by Blake Crouch. Yes, and right now I’m imagining my family’s answer: a crazy one. I would really love to be one of those people who wakes up early and gets typing right away but that rarely happens. Instead I find myself doing the most work from 10pm to 1 am, or even later. Oh, I find this the hardest part. First of all, to really accomplish anything, I need to be hyper-focused and really sink into the work. That’s hard to do with a family, plus I run a small business. I find myself getting very, very cranky with the things that tear me away from writing, so I have to work on managing my expectations and being realistic about when I can submerge myself and when I need to be present and thinking about the other things in my life. I’m not always successful. We order a lot of food in our house because the fridge is often empty, the laundry piles up, packages go unsent, things like that. I’ve been thinking a lot about this lately, because I just finished a book where the writing was not that great and the characters weren’t fully realistic, but I really liked the book because the story itself was so interesting. I think there are really two parts to creating any book: the story, and then the actual writing. For a long time, I worked on the craft of writing. I had all these beautifully written single chapters stored on my hard drive, but they never went anywhere because there was no story to back them up. Actually forcing myself to sit down and write it every day. It’s hard writing a book because the end goal is very far off in the distance. You can’t write a book in a day, so accomplishing a daily page allotment can sometimes feel…unfulfilling. There were days when I’d say to myself, just take the day off, what does it matter? You still won’t finish for months whether you write today or not. So I had to be very strict with myself and set small deadlines—a certain number of pages per day, per week, etc. 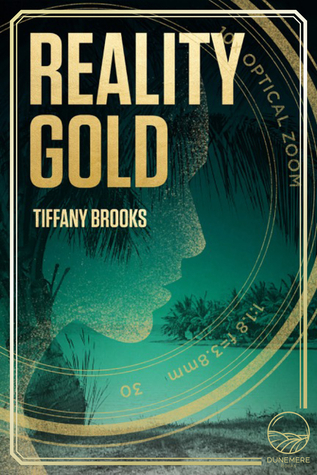 In some ways, Reality Gold is my favorite because it is my first finished, published book. But on the other hand, I have some stories floating around in my head and I love them—and right now they’re full of potential because they haven’t been committed to paper yet. So in some ways, those stories are my favorites because I don’t quite know yet where they’ll go. 9. Where do you write? This is another one of those questions that I want to answer one way but the truth is a little different. I’d love to say I write at my desk, or in a specially created office, or in a favorite reading nook but honestly I write in bed. I like to be comfortable when I write and for me, that’s my bed. 10. Have you gotten feedback from family about your book(s)? What do they think? I’ve gotten feedback from family members that’s everywhere from “It’s amazing!” to “I don’t hate it.” Honestly, I would have found it a little suspect if they all gushed over it, so I preferred hearing about the parts they didn’t like, and overall their opinons were really helpful even if they weren’t always positive. But overall yes, they do like it! 11. What kinds of things do you like to do outside of writing? Definitely read, that’s number one. I am never not reading. After that, I’m a little obsessed with my cats and my dog, and I tend to torture my family with an endless stream of photos of our pets doing cute things all day. The kids hated it when I started working with photoshop because I like to make memes and I know they’re terrible, but it’s fun. 12. What kinds of advice would you give to someone who wants to start writing? The best advice I’ve ever gotten, and really, it’s the only advice any new author needs: write. Actually write. Put words on a page every day. One of my writing teachers explained it like this: authors are artists, and our medium is words. You need words so that you can shape them into something, and until you have them on the page to work with, you can’t effectively create. 13. What is your favorite book? 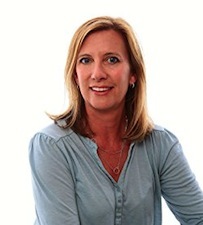 favorite author? Do you have an author that inspired/inspires you to write? I am crazy about Lev Grossman’s Magicians trilogy. It’s amazing—so creative. I felt like he wrote it just for me, a child who walked around opening random doors and hoping that would be the one to finally lead to Narnia. The books are so funny, yet the stakes are high. I love every word. I could pick them up and flip to any page and be engrossed for hours. 14. Do you have any go to people when writing a book that help you with your story lines as well as editing, beta reading and such? Yes, definitely. The key is to find readers whose opinions you trust, which is harder than it sounds. The people around you—family and friends—might be the most available, but not the most helpful. My husband read the first chapter of Reality Gold and asked if there would be any car chases…hmmm. A deserted island, a treasure hunt, a bunch of teens—the answer was no. I think(?) he was joking, and he might have had great insights but I’ll never know because every time he offered them all I could think was, this was the guy who wanted a car chase on a deserted island. 15. Are you working on anything now? I’m working on two different series, both of which are connected to Reality Gold. One of them is a series that follows other characters from Reality Gold as they go off on new adventures. The other one is a series that plays with the idea of characters challenging their reality. Ben and jerry’s Phish Food ice cream, getting a great book recommendation, the movie Groundhog Day, anytime something crazy happens in the news and people run to twitter to make fun of it, my cat when she sleeps with her paw over her eyes. When my dog asks for another treat but I’ve run out, when I get in my car and the gas gauge says I have 4 miles of gas but I’m fifteen minutes late already to wherever I’m supposed to be, when I come home and see a “sorry we missed you” UPS notice on my door, when someone eats all the Phish Food but leaves the carton in the freezer, when I come downstairs in the morning, open the kitchen door, and remember I forgot to buy coffee the day before. 18. If you could travel anywhere in the world to visit a place so you could use it as a background for a book, where would it be? Italy. 100% Italy. I spent a semester there in college and I’m constantly scheming ways to get back there.